Before dawn at 5:00 a.m. on April 27 construction crews protected by 250 policemen broke through the reconstructed mile of the Berlin Wall to create a 16-foot gap which will allow for access to the construction site of a luxury high-rise on the banks of the Spree River. For months, citizens have protested the breeching of the wall; however, no decision was pronounced. Impatient, the contractor took matters into his own hands on Wednesday morning and without planning permission, his workers broke through The Wall. You may have caught the story on NPR or through the Associated Press. I would have been appalled by the story itself, but quite coincidentally, I had just received an link to “Our story in Two Minutes,” a compilation of 500 iconic images that sum up the birth and possible death of life on our planet. The images were edited by Joe Bush. The music came by way of Zack Hemsey. 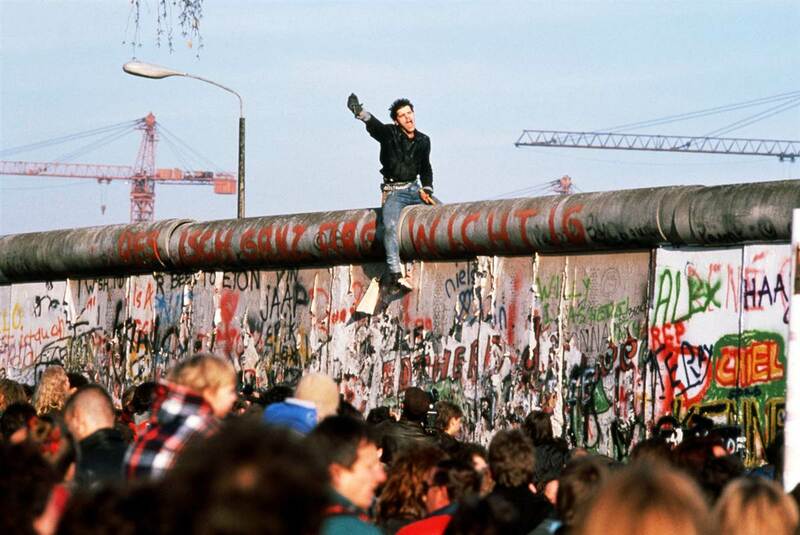 I recognized many of the images, but I specifically remembered the celebrated photo of the young man sitting astride a pipe before the fall of The Wall on November 9, 1989. The memory of that photo coincident with the news of the breech in the Berlin Wall monument gave me pause. Why are we so keen to move forward? What has happened to remembering and honoring the past? 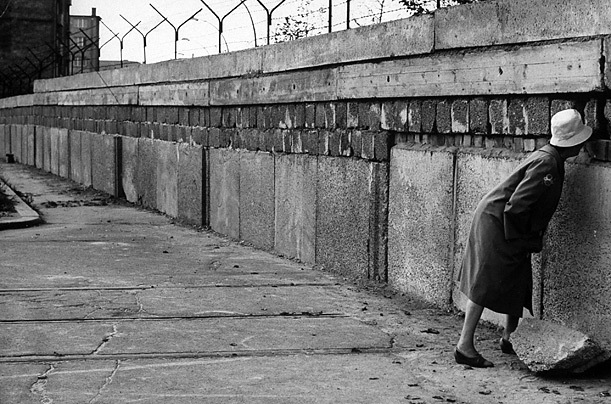 Does no one remember the George Santayana quote: “Those who cannot remember the past are condemned to repeat it.” What exactly do we need to remember about the Berlin Wall? Briefly, the Berlin Wall was erected after the Second World War when too many East Germans were fleeing The Federal Republic of Germany and running toward the stronger economy in the West. In an effort to stem the exodus of brain-power, East Germany erected a barbed wire fence the night of August 12, 1962. As the Cold War escalated, the fence became a symbolic boundary between democracy and Communism: it became an Iron Curtain made manifest. The barbed wire eventually stretched 96 miles and grew to include a concrete wall and soldiers and dogs and watchtowers and electric fencing. The Berlin Wall held until the evening of November 9, 1989 when a government official read a press release announcing that travel to the West was open. Eager to have a tangible piece of history, the wall was demolished by souvenier hunters. But within a year, historians and preservationists were keen to remember. 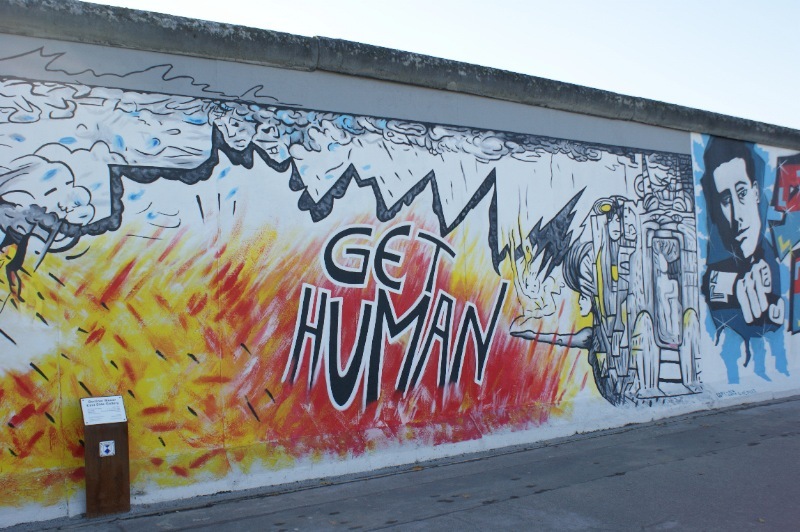 To that end, one mile of the wall was reconstructed and 120 artists were invited to express their thoughts as to the impact of the Berlin Wall. “Get Human” resonates with me. What does getting human involve? Perhaps it is time for you to watch “Our Story in Two Minutes.” Take a look at http://www.youtube.com/watch_popup?v=MrqqD_Tsy4Q. Did you see what I saw? Through the sequence of pictures, I saw a people who may have become more sophisticated, but who have not necessarily become smarter or more human. Those who made the video have taken a very bleak look at our world. I am 16 percent hopeful. Watching the sunrise at Lake DeWeese, I feel my spirits rise. Surely we can’t compromise such serenity. I up my learning-from-the-past to 27 percent. This morning on NPR I listened to Sylvia Poggioli report on Pope Francis’s Easter Mass. Quoting her report from the Vatican, “Francis’s most intense appeal was for what he called a world divided by greed, looking for easy gain, wounded by selfishness.” Maybe I’m more hopeful than I thought. This entry was posted in Uncategorized and tagged Berlin Wall. Bookmark the permalink. I am always looking for inspiration. Sure – you can be one of my muses. I was quite taken with Eric Larson’s book In the Garden of Beasts which you gave me. I didn’t make margin notes, but the book is severely dog-eared. I would have included thoughts inspired by that book, but time being what it is… In his Easter morning homily, Pope Francis had some interesting thoughts on being human – I may have to take a look at his text and add a quote or two to my blog. You and Pope Francis – two of my muses. 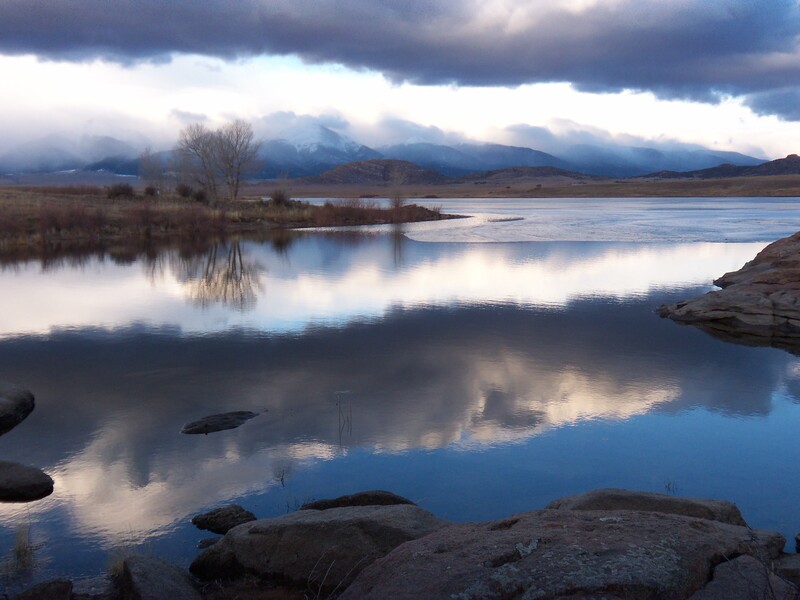 Secondly, that photo you took of Lake DeWeese is spectacular! Now I know why you take your camera everywhere. Talent! Would you mind sharing it? I just want to stare at it for a long while. No cooking for me yesterday. Immediate family was busy doing their thing. Alex and I worked in the garden. Alex is building a chicken coop condo and tool shed. We have chickens and turkeys coming out of our ears! Eggs too! My garden looks like it will be a big one this year, again. I always tell myself I will scale down, but once the planting bug hits, I dissolve. If you could send that gorgeous pic as an attachment, that would be great. I’d like to use it as my screen saver, and possibly make a copy for my office wall. You’ve got a good eye for beauty, Doris!